I am sitting on my sofa staring out my windows and looking at the pond. It is sunny and warm…a bright beautiful day with a gentle breeze. The deck furniture is in place. There is even a hummingbird in that plant…or there was. And it is so hard to believe that barely two days ago the pond was a churning mess…it had risen to the very edges of our lower French doors and it had invaded our basement!!! Order is almost restored in our household. The basement is drying out. Bins are scattered every which way. But we will reorganize it over this Labor Day weekend﻿. So for now I just close my eyes when I need to go down there. I am such an organized person that I am bothered by disorder. It seems amazing to me to be past all the awful stuff that represented our week end. There was no going to dinner…no making dinner…no relaxing talks…no peaceful evenings. Everything we did was hurricane prep. Target and Home Depot and Walmart were all out of lanterns and batteries and ice. We were ill prepared and it is still a shock to us that we did not lose our power. We always lose power. We did not even lose cable. We always lose cable. We prepped for no electricity. We stocked up on sandwich making things and crackers and pretzels and fun snacks. We did not snack on anything and by Sunday night we wanted a real dinner. But roads around us were flooded and we did not feel like going anywhere. I cooked us a salad. It is so quiet right now. I am revelling in it. I actually had a headache from listening to wind and rain. I was depressed…I had a hurricane form of depression. I felt trapped. It is still hard to believe that this hurricane held us so captive. Happy Tuesday…hopefully your day is as sunny and peaceful as mine is. I made amazing cinnamon rolls today. A recipe for a sweetish dough that you actually make in your food processor…I love this dough…so much fun. I will post photos and a recipe later this week. It's amazing how quickly things are back to normal. I'm glad you weathered the storm so well. Those cinnamon rolls do look amazing. Sounds like you're sensitive to the weather like I am. If it's a gray, dreary day, I get easily depressed by it…There's a disorder called SAD–Seasonal Affective Disorder–maybe we have a form of it. Doctors place people in front of light that simulates sunlight to cure it. Patty-Your patio is so cozy, love the view from it! Good thing your damage wasn't worse, although not a good thing to have even the basement flooded. 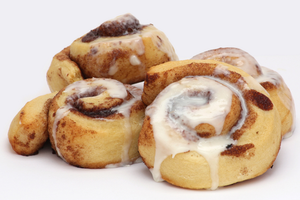 Your cinnamon rolls look so yummy, and droolworthy. I would love to be sitting out there having one of those yummy cinnamon rolls with a nice cup of coffee! I'm so glad things are getting back to normal for you. 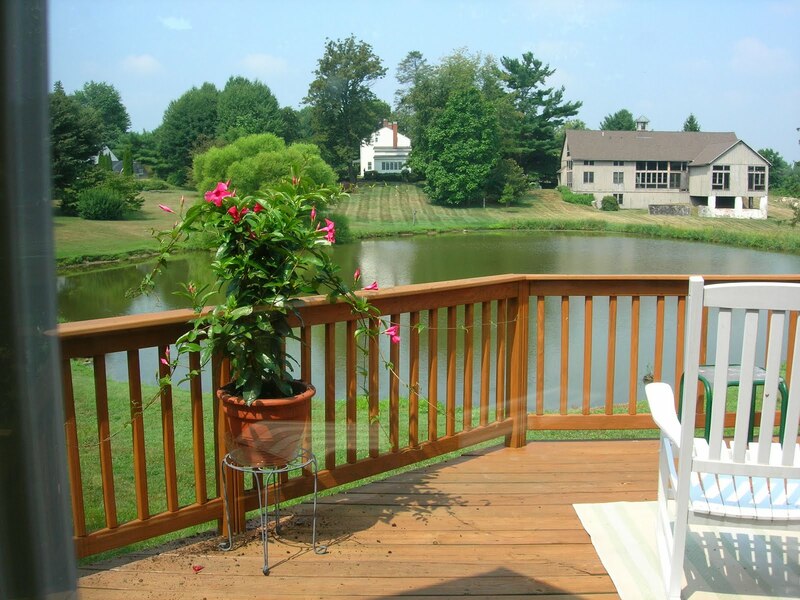 Your patios and view are lovely.